> Fototapeta>Przeznaczenie>Pokój dzieciecy>Chef. Twenty eight expressions and basics body elements, template for design work and animation. 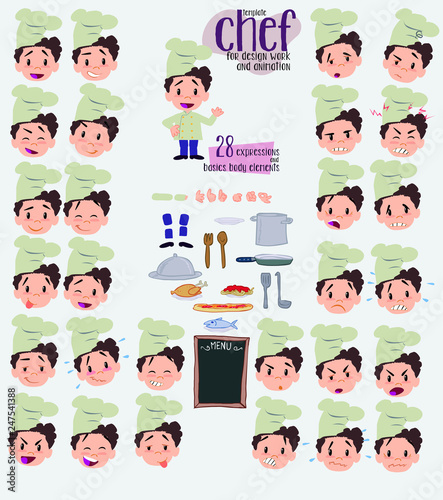 Vector illustration to Isolated and funny cartoon character.